Save 15% with this combo. 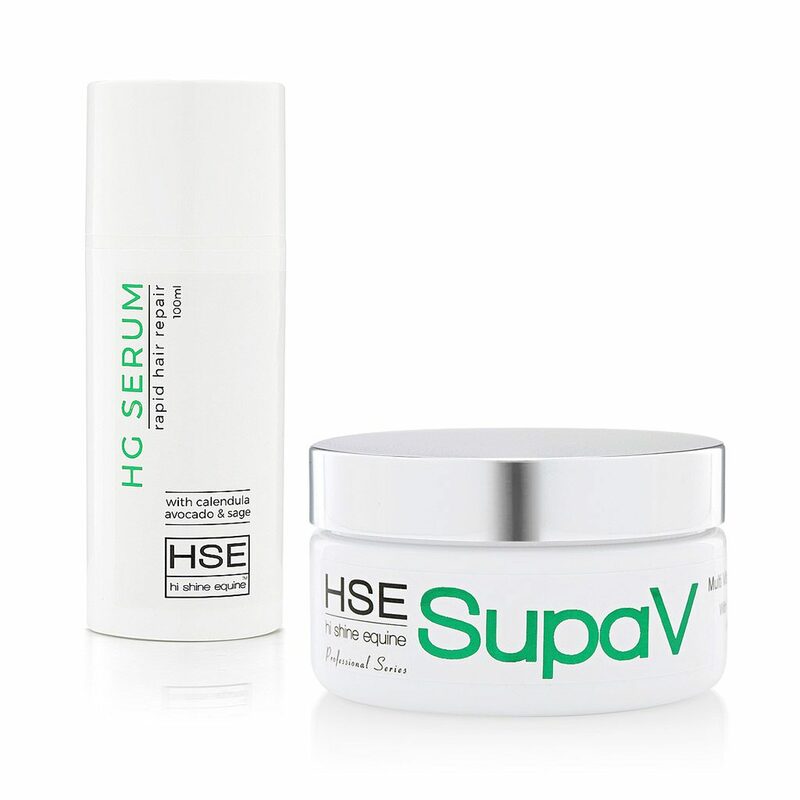 SupaV is an elegant, powerful all rounder cream full of incredibly beneficial ingredients to feed the skin & hair, moisturising dry, damaged skin areas thus promoting quick hair regrowth on the body. Formulated specifically for equine skin, SupaV contains Vitamins A, E, B3, B5, C, with soothing, Zinc, Organic Calendula oil and natural emollients. 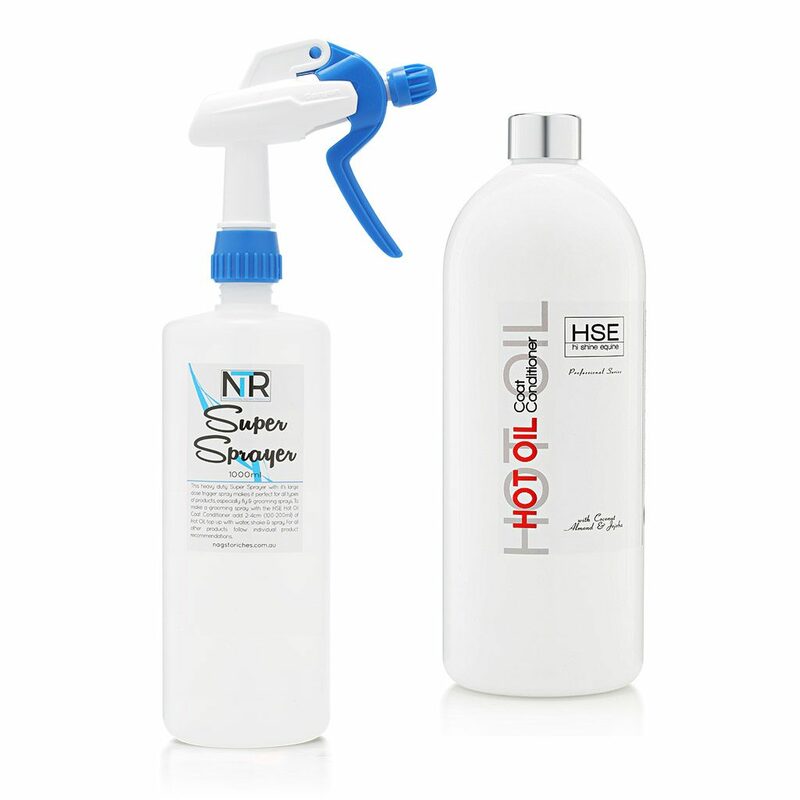 HSE HG Serum is a 100% Natural blend of premium raw oils & extracts specifically aimed at helping mane & tail hair grow rapidly through its unique moisturising properties, remove flakey dandruff that causes itching and help prevent further mechanical hair breakage. SupaV is an elegant, powerful all rounder cream full of incredibly beneficial ingredients to feed the skin & hair, moisturising dry, damaged skin areas thus promoting quick hair regrowth on the body. Perfect for use on minor hair scrapes & grazes, chaffing, rug rubs etc, SupaV smoothes and hydrates old scar tissue, and may be applied to recently healed wounds to encourage smooth epithlialization to maximise new hair growth. 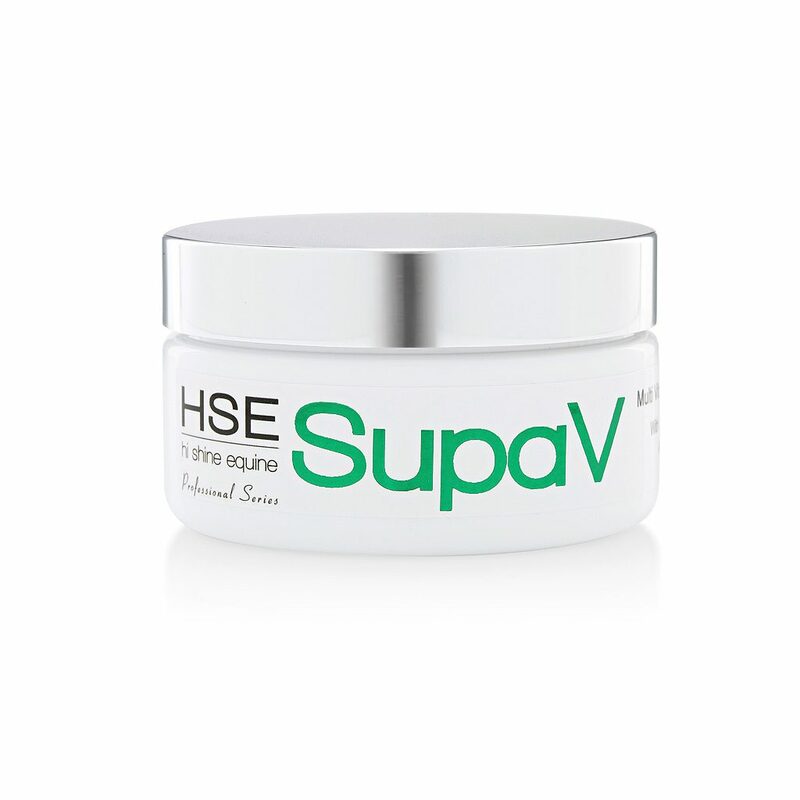 Formulated specifically for equine skin, SupaV contains Vitamins A, E, B3, B5, C, with soothing, Zinc, Organic Calendula oil and natural emollients. SupaV is a must have cream for the tack box for all those usual nicks and scrapes horses often have. Apply a small amount of cream to affected area daily, rub in well. Store cream in a cool dry place away from extremes of heat or cold. HSE HG Serum is a 100% Natural blend of premium raw oils & extracts specifically aimed at helping mane & tail hair grow rapidly through its uniquie moisturising properties, remove flakey dandruff that causes itching and help prevent further mechanical hair breakage. It’s the Serum to use if your horse has rubbed parts of mane or tail out from itching or rugging. There are no fillers or useless ingredients in this serum, no sticky cream that invites dirt and dust. HG Serum has an Organic Coconut Oil base that is chock full of goodies for the hair like Vitamins A & E, Rosemary, Lavender, Jojoba and many others. Like all of our products – HG is extremely concentrated and a little goes a long way! No need to slather or suffocate the skin and hair with greasy sprays or lotions. Just a few drops rubbed into the affected areas daily is all that is needed to see results.